Krampus has a dark side and preys on the naughty, while you are making merry there may be something lurking in the streets. 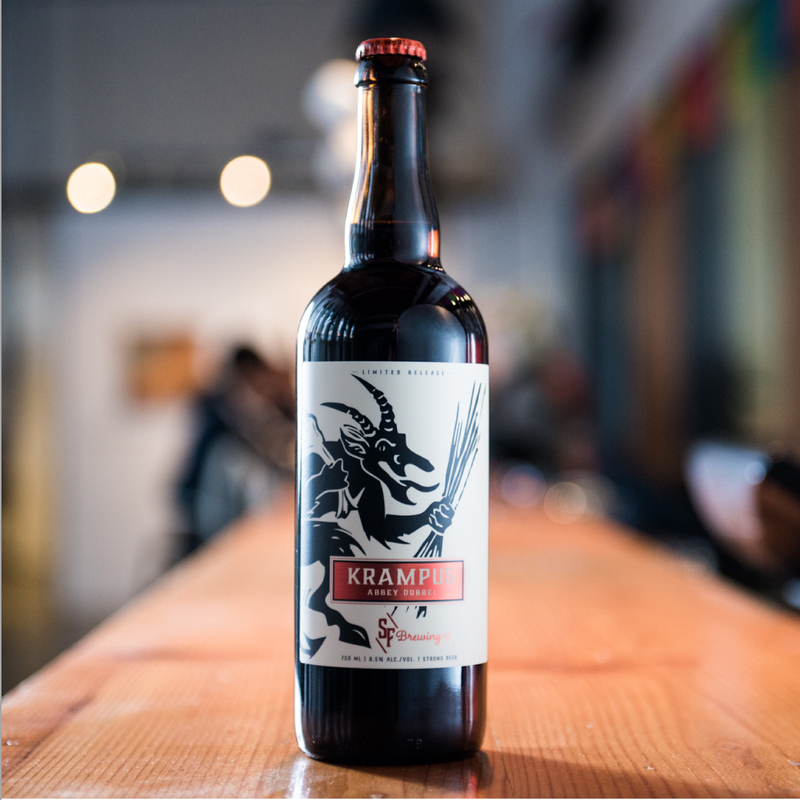 Contrary to his personality Krampus is a Belgian abbey double brewed with Belgian candy sugar and dark malts. It is rich with the flavour of dried stone fruits and subtle toffy notes. This deceptively alcoholic beer has a long warming affect on the constitution to help ignite the dark stranger inside each of us. Merry Krampusnacht!